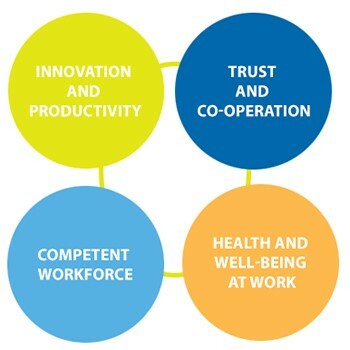 The aim of the Kunteko programme is to promote long-term improvement of productivity, performance and working life quality in the Finnish local government sector. The programme extends across the country, taking into account the individual needs of each municipal organisation or unit and supporting their development in various ways. Success in organizational development requires trust and co-operation. Kunteko accordingly supports co-operative development in local government organisations. It means that staff and management develop services, working practices and processes and the quality of working life together. Kunteko offers many kinds of support for the working life development in municipal organisations. The services are free or low cost. They are implemented by consultants and service providers as well as by the programme’s co-operation partners. Programme’s budget is 1.64 million euros, 25% of which is financed by the principal negotiating organisations.